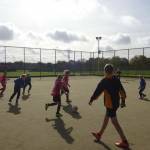 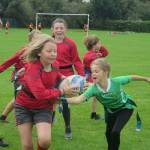 The first event in the Cooper School Cluster Festival calendar was Tag Rugby for Year 5 & 6. 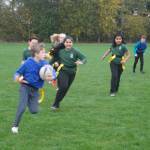 The day was dry but windy, but this didn’t stop the enthusiasm that was seen on the rugby pitch. 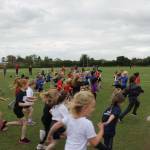 Wednesday 4th October saw the anual Bicester Area Cross Country competition. 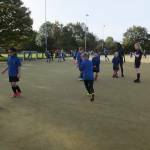 Over 400 children from 12 local Primary Schools met at The Bicester School to take part in the event. 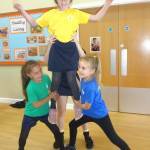 Blessed George Napier cluster of schools celebrated its own girls active festival on Thursday 5th October at Orchard Fields Primary. 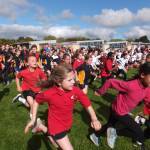 Fifty-one children from Bishop Loveday, St.